Besides a few individual examples, the city of Pilsen is usually not perceived as a remarkable city from the point of view of architectural development in the new era. However, this is not attributable to a lack of noteworthy designs or implementations, but rather comes down to a lack of knowledge, along with numerous destructive interventions in the second half of the 20th century and a persisting emphasis by historians on avant-garde concepts. 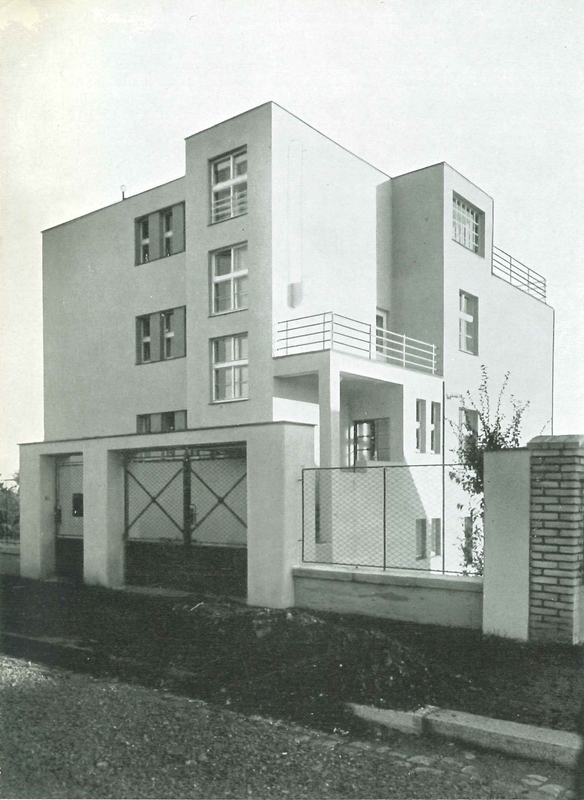 Although in recent years The Gallery of West Bohemia has been involved in limited projects concerning inter-war architecture in Pilsen (Adolf Loos, Hanuš Zápal, the Association of West Bohemian Fine Artists, etc. 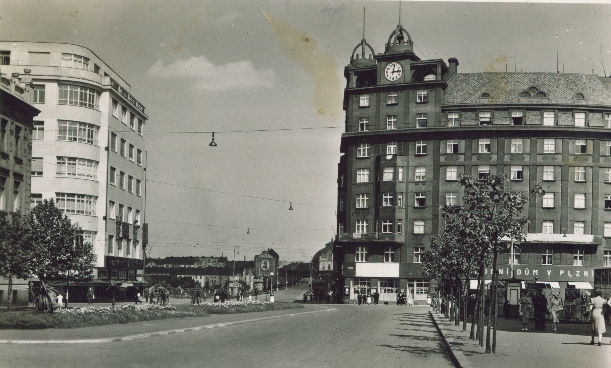 ), a comprehensive view of architecture and urbanism in inter-war Pilsen is nonetheless absent. A great deal of remarkable information and contexts have already been revealed while working on the aforementioned and other projects. This exhibition is intended to be the first complex adaptation of this subject. Particular attention is paid to noteworthy personalities who once had a creative relationship with Pilsen, in addition to being of supra-regional importance (Loos and his circle, Jan Gillar, Josef Špalek, Karel Honzík and Jan Víšek). 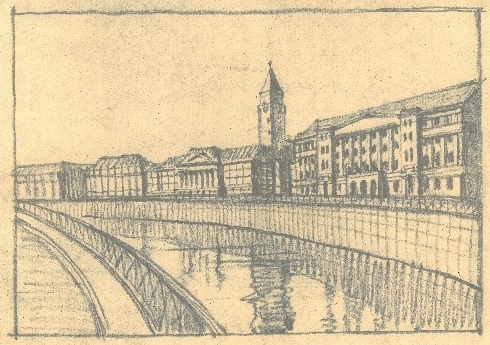 The time period that led to the transformation of the city of Pilsen into a centre of modern architecture is also covered, when, predominantly thanks to the Municipal Building Authority and the pedagogical faculty of the technical school, work was produced by numerous skilled architects (Hanuš Zápal, Otakar Gschwind, Václav Klein, Bohumil Chvojka, Rudolf Černý and Jaroslav Čada). Private project designers are also remembered – in particular Leo Meisl, Václav Neckář and František Němec. Besides individual luminaries and their work, another important theme, which has so far received very little attention, is urbanism. Therefore, the preparation of the Pilsen general regulation plan by Vladimír Zákrejs is also exhibited. However, the main endeavour is to describe the specific situation in which Pilsen found itself in terms of its industrial character. Initially, it involved the unique undertaking to progressively overcome the mistakes of the second half of the 19th century. This resulted in the relocation of industry away from the city centre with its continuing renovation, its dynamic reconstruction and revitalization. The Urban Planning of the Municipal Building Authority, art committees and technical committees, as well as interventions by the state heritage institute and associations is presented here. Also on display are original documents showing constructions and city districts, photographs of completed structures, interiors and aerial photographs. Emphasis is placed on comparisons between the condition of locations before and after alterations. The exhibition also includes countless additional documents, curiosities and models from the collection of The Gallery of West Bohemia, including one entirely newly created model. The exhibition is also expected to include a projection of short historical films from the years 1922 and 1938. The conclusion is briefly dedicated to the period directly after, which to a significant extent negated the preceding era and shaped the contemporary condition of the city, as well as its low level of recognition. The architectonical development of the city between 1939 and 1950 is to be addressed in more detail in an independent exhibition planned by The Gallery of West Bohemia for 2019. An eponymous book will be published in conjunction with the exhibition.